Clipper attempted to charge $72 for my August Fast Pass against the card that was closed. Because Clipper credits your card before the transaction is actually processed, I did not realize my mistake until Aug. 12, when I received an email to tell my that my charge was declined. I immediately signed on to my account on the Clipper website and updated my credit card info. But because the charges for his Fast Pass were declined, Clipper blocked that part of Scott’s card until they processed the transaction on his new card. Because the ecash part of his card was not blocked, every time he used Muni between until Clipper cleared his new card, he was deducting $2 per ride. It seems there is a problem with the Clipper website, where updated billing information is not saved correctly, so when the cash balance on my Clipper card was depleted and when they attempted a new charge, they used my old debit card number and the charge was declined. But, Clipper credited my card. And because there is so much lag time between when the transactions are declined to when they notify the customer, I continued to deplete the Clipper card balance and they initiated more transactions against the closed debit card. Finally, he tried using the card and found that it was completely blocked. He called Clipper and they informed him of the error with their website. Scott was assured that his account was not corrected and Clipper would expedite having his card unblocked. Since this was 4:40 p.m. on a Friday, I didn’t have much hope. Sure enough, the card was not cleared until the morning of Aug. 30, when I used my card on the 24, I saw on the display that my monthly pass was used. Then at 1:07 p.m., on the same day, I received an email that charges to my debit card were declined. 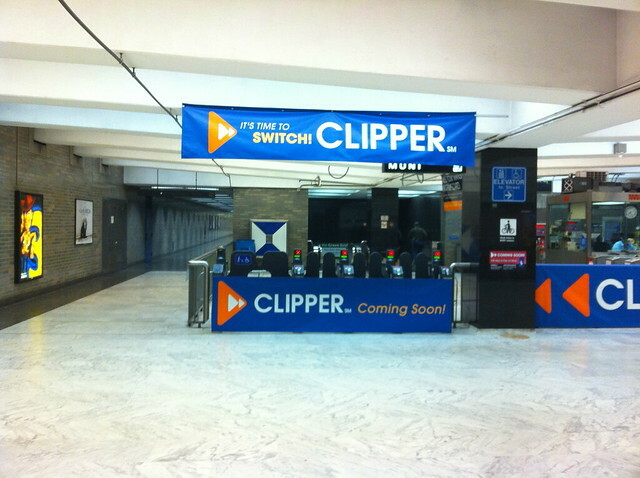 I called Clipper and sure enough my card is blocked again. Once again, I was told that it was fixed and that it should be available to use in 24 hours. Scott adds: “I’m not holding my breath.” My god. We contacted Scott to hear about any possible resolution to his story. We at Muni Diaries are no strangers to Clipper fuckery ourselves. How about you? Has something similar to Scott’s ordeal happened to you? It appears that the website at least sometimes fails to process user updates.